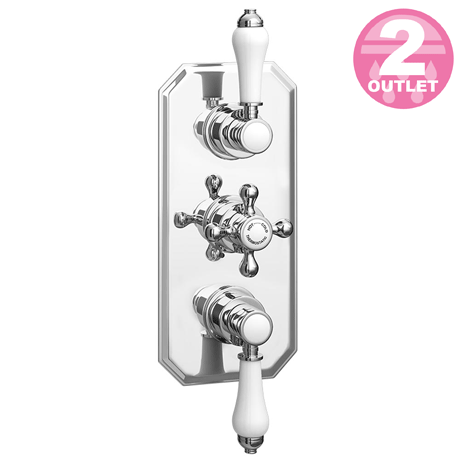 The Trafalgar triple concealed thermostatic shower valve brings substantial elegance to the modern bathroom. This concealed triple shower valve offers thermostatic showering via three easy-to-operate controls. Manufactured using high quality chrome and brass, our range of Edwardian shower valves will look outstanding in any shower enclosure.